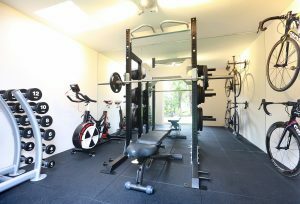 As a Director at motive8, Omar White was already familiar with what the motive8 gym design team can do. 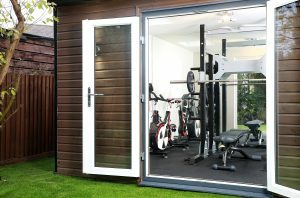 So upon renovating his house during the Summer of 2017, he decided to include a new gym in a bespoke built building at the bottom of his beautifully landscaped garden. 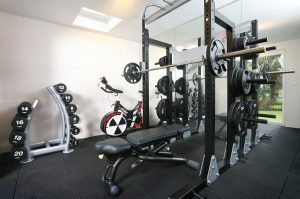 With a full height mirror, specialised rubber flooring and a bespoke half rack, this gym was designed entirely for individual function as well as creating a sense of light and openness.